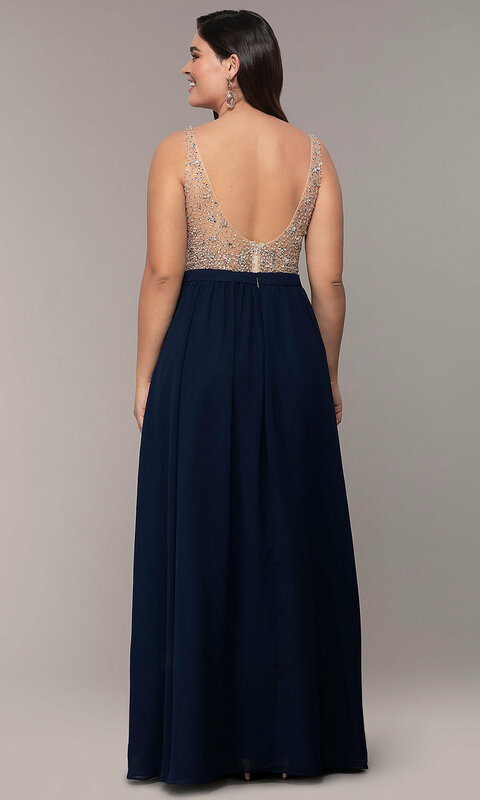 For prom 2019, this plus-size prom dress is charming. Fully veiled in rhinestones, sequins, and beads, the illusion v-neck bodice on the long formal dress sparkles. The embellishments continue to shine against the sheer scoop-back detail, and the long chiffon skirt flows from the gathered waist before opening in a side slit. 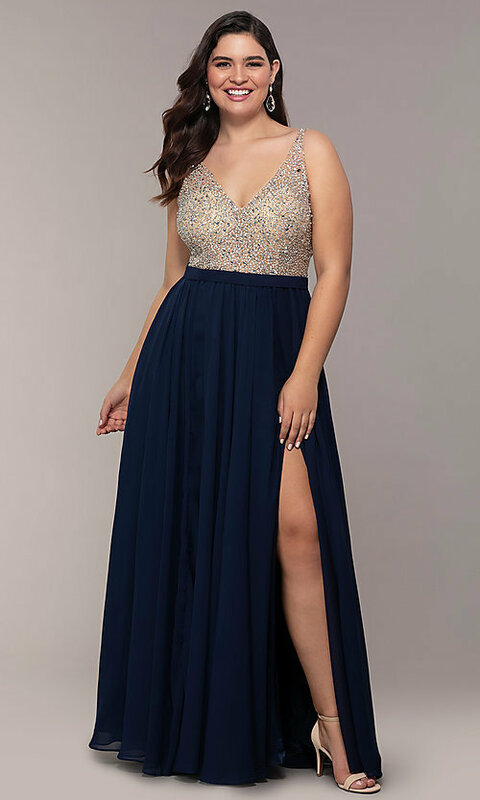 Be selfie-ready as you make your entrance at the promenade, walk across a pageant stage, or celebrate with friends at a fancy wedding in this plus-size chiffon prom dress, under $250.